TOKYO, 18 October 2018 – SMAP Energy, alongside its partner Enechange, announces the commercial expansion of “SMAP Simulator”, an energy pricing application utilising AI energy analytics to improve forecasting precision, reduce quotation time, and allow energy suppliers to make highly competitive offers. “We are very pleased to be releasing SMAP Simulator, a quotation and planning tool for high-voltage customers, as part of our product offering” said SMAP Energy CEO Yohei Kiguchi. SMAP Energy provides a SaaS data analysis platform – Smart Meter Analytics Platform (SMAP) – offer to electricity retail providers s with deployed smart-meters who want to transform the collected data into insight that will improve their operations efficiency. The platform hosts numerous applications for “big data” management and – more recently – AI energy analytics services. As of October 2017 SMAP has also been providing its Profitability Analysis application as a core product to help energy retailers improve earnings through smart-meter data visualisation and management. 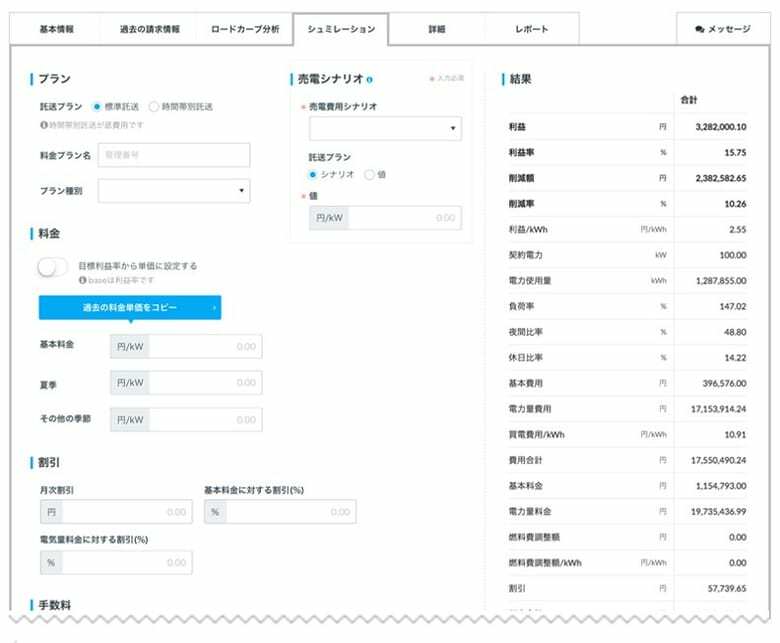 In March this year, SMAP developed and began trialling a time-of-use (TOU) smart tariff package in cooperation with Japanese electricity supplier Looop. SMAP Simulator – the third SMAP product – automates the creation of estimates for high-voltage customers, applying AI techniques to improve prediction accuracy and reduce the completion time of a process that usually takes 1-2 months to a matter of days. Having been tested across numerous clients in Japan, SMAP Simulator is ready to be offered to clients internationally. Time-consuming estimate calculations: Many suppliers use simple Excel spreadsheets for their estimate calculations. As unit prices and tariffs have to be manually set , updated, and checked each time, this makes the process very time intensive. Smart-meter/half-hourly usage data is not fully utilised when estimating: Actual customer data is not used when forecasting through a traditional network (NHH) load curve, so quote estimations for new customers are less accurate. Smart-meters are gradually changing this situation, but many suppliers still struggle with having the data accessible or complete. Inaccurate procurement costs leading to errors in profitability prediction: Circumstances such as spot-price fluctuations in response to changes in procurement costs can complicate profitability analysis and quotation. SMAP Simulator automates the manual time-consuming work associated with developing energy supply quotations for large consumers in the industrial, commercial, and SME sectors, speeding up the quotation process from what was once a matter of weeks to a time frame of hours. Multiple steps in the quotation process are addressed – all stakeholders involved at headquarters, business offices, agencies, etc., can be given necessary access and to create quotations and grant approval. SMAP Simulator’s algorithms employ cluster analysis – an AI technique for determining distinct data patterns and grouping subjects accordingly – and were trained on load curves from over 10,000 high-voltage customers across different industries, geographic areas, days of the week, and months obtained in parallel with ongoing long-term research at the University of Cambridge. SMAP Simulator utilises this in simulation to help retail clients use the actual energy usage of a customer from the customers smart-meter data – or a similar customer from the SMAP Simulator database should the target customer not have a smart-meter installed – to set a competitive tariff structure / unit price for each customer and have greater certainty of profitability on the offer. Combined with the decreased quotation time, the net effect is an increase in the closing rate. SMAP Simulator allows the client to set multiple power procurement pricing scenarios, making it possible to estimate multiple procurement costs from actual market trends and any forecasts the client wishes to test. As a result, it is possible to predict the profitability of each customer taking into account various factors such as procurement strategies of retail electricity companies and future trends in market prices.